Balendin Berrio-Otxoa y Aristi (Valentin de Berrio-Ochoa) was born on February 14, 1827 in Elorrio (Vizcaya)-one of four Basque provinces in Northern Spain. He entered the Dominican Order and was ordained on June 14, 1851. He was first a Missionary to the Philippines and then to Vietnam where he was Appointed Bishop of Central Tonkin. On November 1, 1861 St. Valentin was tortured and beheaded for refusing to renounce Jesus Christ. Martyred with Saint Jerome Hermosilla and 115 Vietnamese who refused to renounce Jesus Christ. 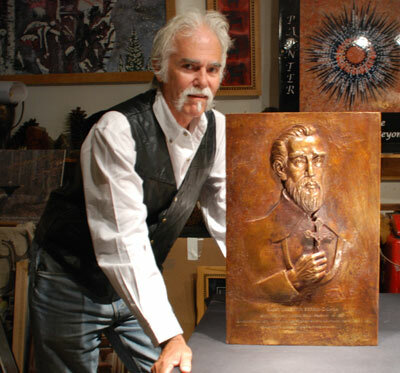 The artist, Dennis Berriochoa Downes, grew up knowing that someday St. Valentin would be canonized. It was the subject of many conversations he had with his aunts, uncles, and cousins over the years. Uncle Luis Berrio-Ochoa, now in his late 80s, always kept the family informed of events or information regarding St. Valentin. The Berrio-Ochoa family has been in the Idaho area over 100 years as well as other surrounding states and Mexico. The extended family has also been involved with the history of Saint Valentin over the years. On June 19, 1988 St. Valentin Berrio-Ochoa was canonized by Pope John Paul II. Mr. Downes' mother and father, aunts and uncles, and friends attended the official event at the Vatican in Rome. Also in attendance was a large group of people from the area in Vietnam where St. Valentin was martyred and where he is still held in high regard. With the help of Uncle Luis, Thomas Wheeler, returned to Vietnam to learn more about Saint Valentin. Thomas Wheeler, Dennis' first cousin, had originally been to Vietnam when he had served our country as a soldier. Thomas and Dennis talked many times at family reunions, Basque festivals, and on regular visits to Idaho about the family's research on the Saint. 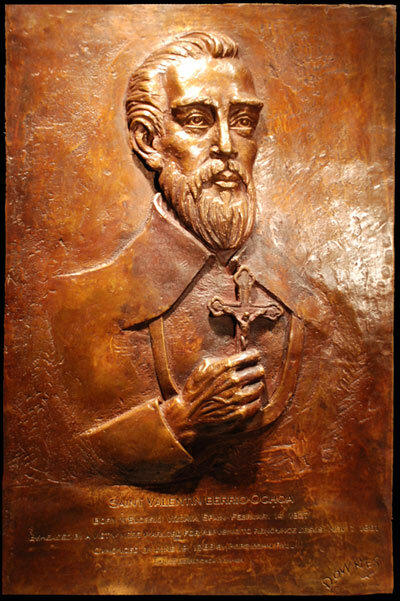 It was through the help and inspiration of the entire family that the bronze sculpture of St. Valentin was completed. The blessing of the bronze high relief sculpture of St. Valentin was placed on the official calendar of Francis Cardinal George O.M.I. of the Chicago Archdiocese. The blessing ceremony was held September 16th at the beautiful grounds of the University of Saint Mary of the Lake in Mundelein, Illinois, built in 1844. The Cardinal also related his knowledge of St Valentin and the Basque culture from his time as Bishop of Yakima, Washington, and Archbishop of Portland. Mr. Downes attended this year's Basque Festival, Jaialdi, which was held in Boise, Idaho. A small, private ceremony was held for his mother, her sister and brother, and some of the cousins who had attended the canonization in Rome. The ceremony was held at the Basque Museum and Cultural Center. 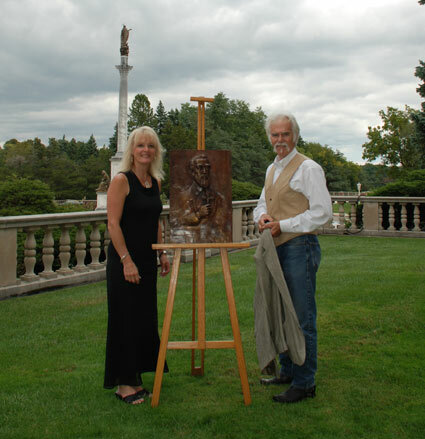 Many thanks to Patty A. Miller, Executive Director and Mike Vogt, Curator, for all of their help.